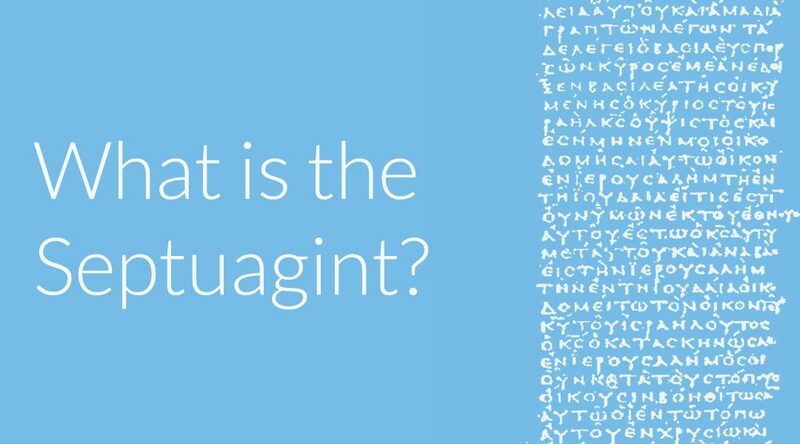 The Septuagint is the oldest surviving Greek translation of the Hebrew Bible, traditionally believed to have been written by 72 Jewish scholars sometime during the third century BC. Since Greek was the common language of the Roman Empire, the Septuagint was popular among Jews living under Roman rule. Many of the early Christians didn’t know Hebrew, so they naturally embraced this popular Greek translation as well. The New Testament frequently uses the Septuagint when referring to the Old Testament. When Paul wanted to share an Old Testament passage with a Greek-speaking audience, he often used the Septuagint’s translation. Later, leaders of the early Christian church, such as the Apostolic Fathers and Greek Church Fathers, quoted it as well. While the Septuagint is undoubtedly an important work, it poses some issues. It deviates from the “standard” Old Testament in some areas. 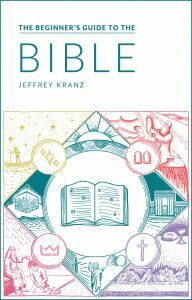 It includes some books that you won’t find in the Protestant Bible, as well as a few additions to books of the Protestant canon. ’s And to top it all off, the Septuagint’s origin story is actually a work of fiction. So what’s the story behind the Septuagint? Why was the Septuagint written? When Greek became the lingua franca of the Roman Empire, assimilation became important for the Israelites. Many Jews, especially those further from Israel, grew up learning and speaking Greek, not ancient Hebrew. While the Law and the prophets remained tremendously important to the Jewish people, the Hebrew Bible became inscrutable to non-Hebrew-speaking Jews. It’s no surprise that a Greek translation of the Hebrew Bible emerged. The Septuagint isn’t even the only one. It’s just the translation that became most popular, and it’s the only Greek translation of the Hebrew Bible that has survived fully intact. The Septuagint has a far more detailed origin story than that, but there’s just one problem with it: scholars are pretty sure it’s made up. Also known as the Letter to Philocrates, this letter claims to be written by a courtier of King Ptolemy II named Aristeas, who was supposedly writing to his brother, Philocrates. Scholars have dubbed it “Pseudepigrapha,” which basically means: it isn’t written by who it says it’s written by. Still, this letter, which is all about the origins of the Septuagint, appears to have been widely distributed (more than 20 copies of it survived), and later ancient historians mention and quote it as though they believed it was true, despite the fact that it’s riddled with inconsistencies and anachronisms. To convince the Greeks that the Torah is a literary masterpiece. To establish the Septuagint as the best version of the Hebrew Bible. The author tells us that King Ptolemy II’s librarian wanted a Greek translation of the Torah to include in the famous Library of Alexandria, because it was such an important work. So Ptolemy sent gifts and envoys to the Temple of Jerusalem. The high priest selected 72 Jewish scholars—six from each of the 12 tribes of Israel—and then gave a sermon about how great the Torah is. When the translators showed up in Alexandria, King Ptolemy II was so overjoyed that he cried, and he spent the next seven days asking them philosophical questions. The author included all of these deep questions and their insightful answers in his letter. The scholars got to work and separately translated the Torah, and in 72 days, they each produced identical translations. When the Jews in Alexandria read it, they requested copies and cursed anyone who might try to change the translation. And that’s why we have the Septuagint. The end. While the Letter of Aristeas is a work of fiction, some version of its account appeared in enough other works by enough other ancient writers that tradition passed it on as the Septuagint’s origin story. Over the next couple hundred years, the rest of the Hebrew Bible was translated into Greek, as well as other deuterocanonical texts (these are writings you won’t find in Protestant Bibles), and together this collection of works was called the Septuagint. In his famous work, The City of God, Saint Augustine says “this name [Septuaginta] has now become traditional,” suggesting that the name was widely in use by the fifth century AD. This is why the Septuagint is often abbreviated as LXX: the Roman numeral for 70. And you’re right, the name is two translators short. But LXXII just isn’t as pretty, I guess. How old is the Septuagint, and how do we know? After examining the language used throughout the Septuagint and comparing it to other ancient Greek writings, scholars believe that the first five books of the Old Testament (known as the Pentateuch or the Torah) were written sometime in the third century BC. The rest of the Old Testament was likely translated in the second century BC. Interestingly, this fits with the timeline established by the Letter of Aristeas: King Ptolemy II reigned from 283-246 BC. Historians just love it when ancient writers blend facts and fiction. The earliest complete manuscripts we have of the Septuagint are from the fourth century AD, though there are fragments from earlier editions as well. While the Protestant Bible only has 39 books in the Old Testament, the Septuagint contains 51. Catholics and Orthodox Christians refer to these “extra” books as deuterocanonical (meaning “second canon”), and Protestants refer to them as Apocrypha (meaning “secret, or non-canonical”). Are the deuterocanonical books part of the canon, or not? While the Septuagint was widely used in the early Christian church, when the Jewish canon was formally established centuries later, it didn’t include many of the writings we find in the Septuagint. Rabbinic Judaism claimed that the canon hadn’t changed as it was passed down orally, and these writings were never included. This sparked a debate within the church: what should they do with the texts the early Christian church accepted, which Jewish tradition rejected? The church debated including many of these books in the Christian canon throughout the fourth and fifth centuries, labelling them either “ecclesiastical” or “apocryphal,” depending on the degree to which the early church accepted them. After the Reformation, Protestants supported the Judaic canon, labelled all of these books apocryphal, and removed them from the canon. But Catholics and Orthodox Christian traditions still hold to several of these writings from the Septuagint. The Masoretic Text is the authoritative text of the Hebrew Bible, believed to have been passed down orally and transcribed perfectly over the centuries. Generally speaking, older copies of a document are believed to be closer to the original, but that’s not the case when we compare the surviving versions of Masoretic Text and the Septuagint. The oldest copy we have of the Septuagint is from the fourth century. The oldest complete copy of the Masoretic Text we have is from the ninth century. But while the Septuagint gives us an ancient Greek translation of the ancient Hebrew text, the Masoretic Text is the ancient Hebrew. And it came from a tradition of carefully passing down the Hebrew Bible word-for-word. Thus, the Masoretic Text is believed to authentically represent the original Hebrew Bible. This creates a bit of a problem: the Septuagint and the Masoretic Text don’t always see eye-to-eye. Some passages of the Septuagint appear to be sloppy translations of the original Hebrew. Early church fathers openly called these differences errors. 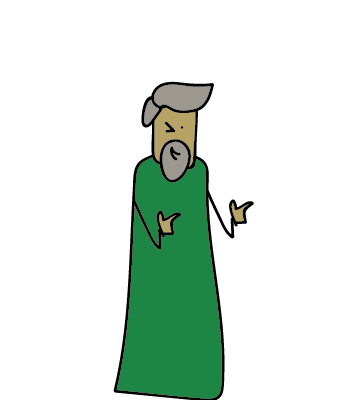 As Jerome translated the Septuagint into the Vulgate (the Latin translation of the Bible), he was put between a rock and a hard place: if he only translated from the Septuagint, he would force Matthew and John to “quote” passages that didn’t exist. They were in the original Hebrew, but not the Septuagint. But if the Septuagint was in error, was it not inspired? What would that mean when Paul quoted from the Septuagint? For centuries, scholars believed these differences between the manuscripts supported the idea that the translators of the Septuagint were more familiar with Greek than with Hebrew—which would make sense for non-Palestinian Jews living under Roman rule. In other words: the Septuagint was just a poor translation. Many scholars still support this argument, but the discovery of the Dead Sea Scrolls threw a wrinkle in the debate. The Dead Sea Scrolls contained more than 200 biblical books, including a nearly complete manuscript of the Hebrew Bible that was more than 1,000 years older than the oldest copy of the Masoretic Text, and 500 years older than the oldest copy of the Septuagint. Inside the caves, there were also a smattering of Hebrew scrolls that supported the Septuagint’s translation. Were there multiple Hebrew manuscripts? While these ancient scrolls largely affirmed the Masoretic Text’s authority and careful preservation of the original Hebrew, the other copies of Old Testament books revealed that there were possibly a multitude of versions of the original Hebrew, some of which the Septuagint may have come from. But the fact that they exist doesn’t mean they were considered authoritative, either. If archaeologists discovered Shakespeare’s secret hideout, and inside they found another version of Macbeth on his desk, that wouldn’t tell us it was a version he intended to preserve, or how he perceived it in relation to the version we have today. The existence of other manuscripts doesn’t tell us whether they were accepted as authoritative. What we do know is this: while the Septuagint was widely used even among Jews, Jewish tradition did not consider it authoritative. And shortly after the early Christian church started using prophecies in the Septuagint to point to Jesus—around the time people started noticing what appeared to be errors in its translation—popular Jewish culture turned away from it, too. Most Protestant scholars still uphold the authority of the Masoretic Text, but for many, the Dead Sea Scrolls cast new light on whether or not the differences in the Septuagint were truly “errors,” or simply translations based on a different manuscript (one that Jewish tradition rejected). So what does this mean for Paul? Whether the Septuagint was a sloppy translation or it was based on another manuscript, the fact remains: it was, during the time of the New Testament, popularly used among non-Hebrew-speaking Jews, and the most accessible way to bring the words of the Hebrew Bible to a Greek-speaking audience. Paul and the gospel writers could create their own Greek translations on the spot every time they wanted to quote an Old Testament passage, or they could use the translation that was already widely in use. Most of the time, the New Testament writers went with Option Two. Some of the differences between the Septuagint and the Masoretic Text are as mundane as which type of snake venom is under evildoers’ lips in Psalm 140:3—is it an asp, or an adder, and does it matter? Others are more noticeable, but it’s debatable whether they have any significant impact on Paul’s doctrine. Did Jesus quote the Septuagint? Some will point out that Jesus makes numerous Old Testament references that clearly come from the Septuagint. Others will argue that these references are simply the result of translating Jesus’ Hebrew or Aramaic quotes into Greek, where the gospel writers relied on the Septuagint. Some will say it doesn’t matter, because the Septuagint is inspired, and New Testament references to deuterocanonical texts only serve to affirm that. Others will say it absolutely matters, because the Septuagint is clearly not inspired, since tradition upheld the Masoretic Text. The Christian church has a deep history with the Septuagint. Despite its flaws, this early translation of the Hebrew Scriptures played an important role in helping Christianity spread throughout the ancient world. And even as parts of the church have tried to disentangle their Bibles from it, none of us can ignore the Septuagint’s influence throughout church history.